The Savage in Judaism: - Howard I. Schwartz Ph.D. Since the Enlightenment, interpreters of religion in Western Culture have typically classified Judaism above other non-Christian religions. Though considered inferior to Christianity, Judaism nonetheless could not be grouped with “savage” religions. The Savage in Judaism exposes and challenges the opposition between Judaism and “savage” religions that has profounded shaped the conceptualization and study of Judaism in the modern period. Aligning this work with a growing trend of scholarship that draws on anthropology and comparative inquiry, the book first recounts the history of the distinction between Judaism and “savage” religions–how it emerged and what its consequences have been. The book next undertakes an extensive reinterpretation of central practices from Israelite religion and ancient Judaism. Drawing on anthropology, the author reconsiders the meaning and function of dietary restrictions, animal sacrifice, sexual prohibitions, circumcision, taboos concerning menstruation, and other rules of contamination. 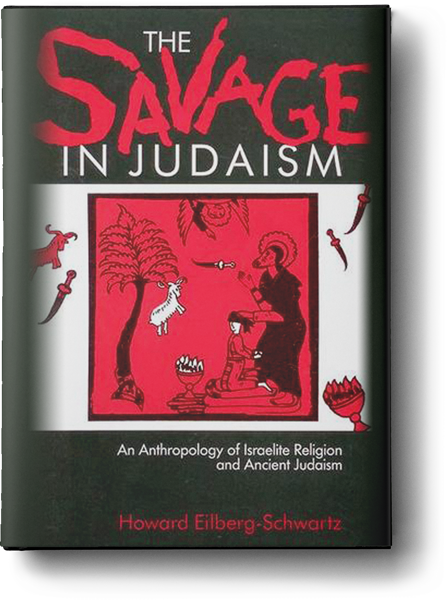 With particular attention to the symbolic language and social relations that inform these practices, The Savage in Judaism advances the anthropology of Judaism and begins to recover the “savage” in the religious culture of the Jews. A free electronic copy of The Savage in Judaism can be downloaded here. All rights reserved to the author.